GKFX-21 contain specially designed filters to improve PCM/COSM tracking and ghost note immunity as well as lowering noise when palm muting. Most noted effect on GR-55, GP-10 and VG-99 when using Piezo 13-pin guitars. 13-pin GK Guitar input and 13-pin GK Guitar synth output. 13-pin patch cable included (1 meter). 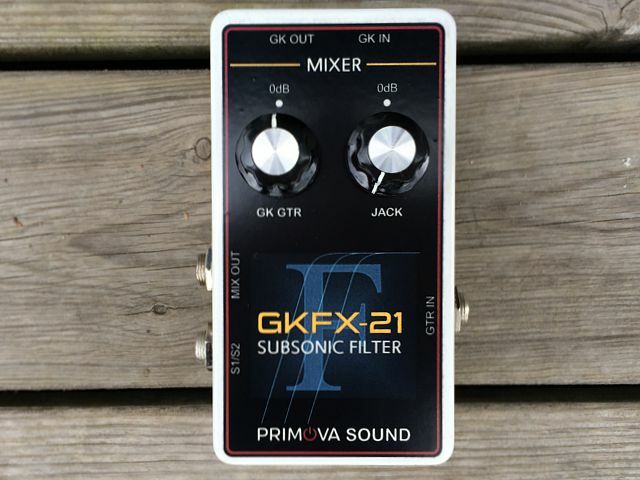 GKFX-21 is self-powered by synth unit. The MIX OUT jack allows you to extract the mix of the two signals. MIX OUT Mixer output. 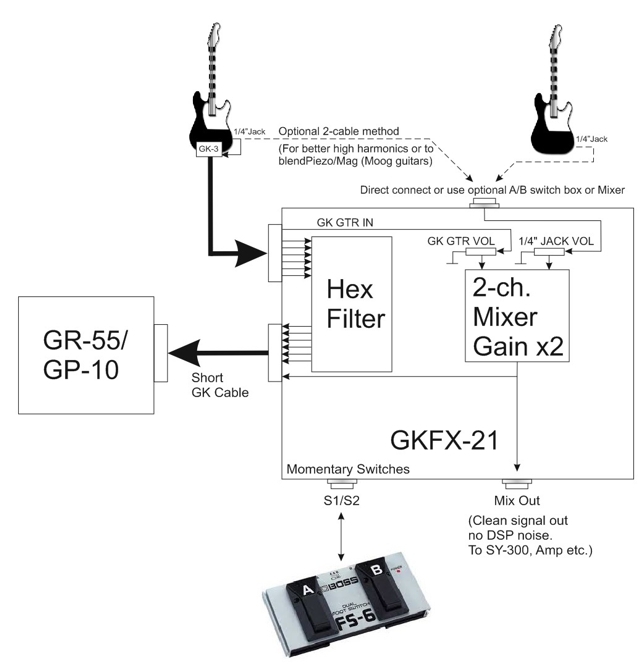 Blend of GTR IN Jack and GK guitar signal (GK Pin 7). Levels according to the GK GTR and JACK knobs.